YES! Winnipeg is a results-focused initiative within Economic Development Winnipeg Inc. that is supported via private- and public-sector funding to promote, support and expedite successful business development in Winnipeg. Leading sectors to date include advanced manufacturing, agribusiness, ICT and life sciences. Its goal is to play an instrumental role in creating/retaining 4,500 jobs by year-end 2020. The nine successes presented below are a small sampling of the over 90 companies that have said “Yes!” to Winnipeg with YES! Winnipeg’s help. A global argi-food producer with operations in Winnipeg was planning to expand somewhere in Canada. This expansion included building brand-new facilities and consolidating existing plants—with Winnipeg as an option for either expansion or closure. YES! Winnipeg worked with this business and with related stakeholders to demonstrate why Winnipeg should be deemed the best location to retain and expand operations. YES! Winnipeg expedited permit approvals, navigated the applicable government programs and helped identify an ideal location for the new facility. Ultimately, YES! 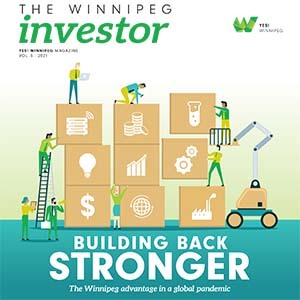 Winnipeg and its community collaborators made a persuasive case for Winnipeg, and the firm chose our city as the perfect place to retain its facility and make a major investment to develop new operations. This project retained 45 jobs, and the expansion added 15 new jobs to the local economy. A long-time, family-owned and operated, Winnipeg-based manufacturing company was considering an expansion. The company needed to grow and was pondering a move away from the city because it couldn’t find the right new location. In response, YES! Winnipeg reached out to its network of investors to source the best Winnipeg site for the company, and it also furnished information about all of the excellent reasons why Winnipeg would continue to be the best place to run the business. Once an ideal location was found, YES! Winnipeg helped the company access government programs and acquire the necessary permits. The new operation led to the creation of 28 jobs and over $4 million in new investment locally. Winnipeg-based manufacturing firm Price Industries had developed a new technology and needed to expand to produce its new product. The company wanted to expand in Winnipeg but needed some convincing. YES! Winnipeg worked with Price Industries, various investors and all three levels of government to determine what kinds of programs could make this local expansion happen. With the help of YES! Winnipeg and its collaborators, the company decided to expand right here. This welcome decision is projected to create 175 jobs and over $23 million in new Winnipeg investment. A Canadian manufacturer considered a world leader in its industry was considering a major expansion. Already running Winnipeg facilities, the company had to decide where to expand its operations; five options were being scrutinized. YES! Winnipeg provided this company with targeted ‘Why Winnipeg?’ information, helped them navigate government assistance programs and worked in tandem with the city’s highly collaborative post-secondary institutions to ensure the availably of quality staff. These efforts proved successful, and the company chose to expand here not once but twice. At maturity, this major expansion will generate 557 jobs and result in a significant local investment. Ubisoft is one of the largest publishers of video games in the world and creator of massive brands like Assassin's Creed, Far Cry, Watch Dogs, Just Dance, and the Tom Clancy series. The company employs over 13,000 people in 30+ studios and offices on almost every continent, including more than 4,500 in Canada. Its Canadian headquarters is in Montreal, Quebec. YES! Winnipeg’s relationship with Ubisoft started with proactive outreach - a cold call to Ubisoft’s Montreal office. From that point on, YES! worked closely with Ubisoft officials to provide key guidance and information on Winnipeg’s unique value proposition. YES! hosted several familiarization tours which included discussions with both municipal and provincial government leaders as well as industry representatives and educational institutions. Additionally, YES! has been very active supporting their access to workforce and commercial real estate requirements. Ubisoft’s investment in Winnipeg, which was officially announced on April 6, 2017, will reach $35 million and employ 100 people. The company’s entry to the Winnipeg market is a textbook case on the value of working with YES! Winnipeg. SkipTheDishes is an online order/delivery company currently servicing over 600 restaurants in multiple cities across Canada. The company uses a sophisticated algorithm and a dedicated network of delivery drivers to bring delicious food to customers’ doorsteps. SkipTheDishes could have chosen any city in the country for its national expansion, but YES! Winnipeg tipped the scales in Winnipeg’s favour: the company chose Winnipeg for its new head office and support functions. YES! Winnipeg provided assistance through competitive information weighing Winnipeg against other communities—including labour market and real estate comparisons, government program opportunities and access to senior officials, as well as workforce connections and commercial real estate options. At maturity, SkipTheDishes is expected to create 550 full-time jobs and $15 million in capital investment. Canadian Tire Corporation, an iconic Canadian company known for its dominant retail positon, was searching for a site to build the country’s most advanced cloud computing data centre. The 28,000-square-foot site needed to house a digital content warehouse, an application lab, a testing lab and a high-performance data centre. It would serve as the core digital hub for the Canadian Tire family of companies. Competition for this expansion was fierce, with many other cities vying for this incredible opportunity. YES! Winnipeg partnered with multiple entities to identify potential government support programs, post-secondary partnership opportunities and real estate options. This effort included playing a key role in facilitating the corporation’s relationship with Manitoba Hydro and working to ensure Canadian Tire’s new facility would meet the latest energy efficiency and green computing standards. This collaboration proved worthwhile. In 2013, Canadian Tire Corporation unveiled its new cloud computing data centre here in Winnipeg. At maturity, it will add 80 new jobs and represent a $57-million investment. HD-Petroleum operates refineries that recycle waste motor oils and refuse petroleum products into a high-quality diesel fuel. The company wanted to launch operations in Winnipeg, which would focus on recycling Manitoba-generated waste oils into regionally distributed diesel fuel. The firm also wanted to develop a research and development centre to showcase new technologies in waste recycling. YES! Winnipeg worked to connect HD Petroleum to key customers and provided assistance by identifying and navigating applicable government programs. With YES! Winnipeg’s help and additional stakeholder support, the company decided to invest in Winnipeg to the tune of 114 new jobs at maturity and a $17-million local investment. 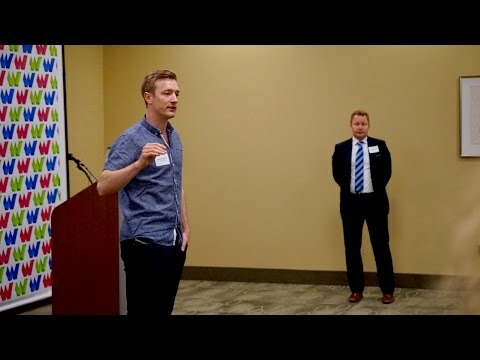 An enterprising team of entrepreneurs wanted to start a new business servicing the growing medical agribusiness field, and Winnipeg was considered a viable option. YES! Winnipeg helped this firm navigate the strict permitting standards required by the many different regulatory bodies and facilitated introductions to collaborators to source the highly specialized equipment and utilities needed to launch the enterprise. The project proved to be a huge success, with 200 jobs projected at maturity and $8 million invested in Winnipeg. 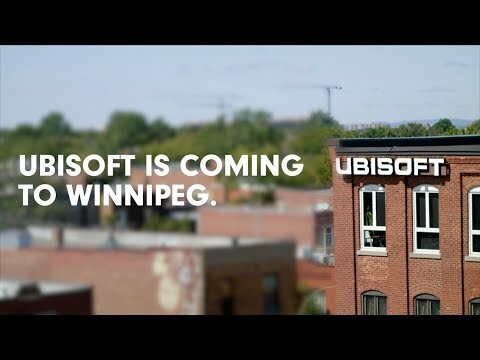 Ubisoft is coming to Winnipeg. Here's how is happened.